This article is about mountains on Earth. For the Solar System, see List of tallest mountains in the Solar System. There are at least 109 mountains with elevations greater than 7,200 metres (23,622 ft) above sea level. All of these mountains are located in southern and central Asia. Only those summits are included that, by an objective measure, may be considered individual mountains as opposed to subsidiary peaks. Mount Everest, is the first highest mountain in the world. Mount Everest is the place of attractions so many highly experienced mountaineers as well as capable climbers willing to hire professional guides. The first recorded efforts to reach Everest’s summit were made by British mountaineers. K2 is the 2nd highest mountain and most dangerous mountain in the world. This is because of the massiveness in the size of this mountain and the numerous unsuccessful attempts made on it by various expeditions, which include mostly American expeditions. The main peak of Kanchenjunga is the second highest mountain in Nepal after Mount Everest.it has five peaks connected continuously to it. 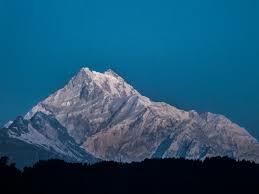 Kanchenjunga has an enormous mass with numerous satellite peaks along its ridges. Lhotse is the fourth highest mountain on Earth and is connected to Everest via the South Col. Lhotse means “South Peak” in Tibetan. It is located at the border between Tibet (China) and the Khumbu region of Nepal. Makalu, One of the eight-thou sanders, Makalu is an isolated peak whose shape is a four-sided pyramid and it’s on the bordered between Nepal and China. Cho Oyu is the sixth highest mountain in the world and in the Border of Tibet and china. The mountain is the westernmost major peak of the Khumbu sub-section of the Mahalangur Himalaya 20 km west of Mount Everest. The mountain stands on the Tibet-Nepal border. Dhaulagiri is the seventh highest mountain in the world. Its name means “White Mountain”. This mountain, along with Annapurna, is home to a more dramatic scene than most of the other mountains, for they face each other while separated by a valley. Manaslu is the eighth highest mountain in the world.Its name, which means “Mountain of the Spirit”, comes from the Sanskrit word Manasa, meaning “intellect” or “soul”. It is said that just as the British consider Everest their mountain, Manaslu has always been a Japanese mountain. Nanga Parbat is the world’s ninth tallest mountain. Although the name is Urdu for “Naked Mountain”, for first half of the twentieth century it was known as “Killer Mountain”. It was called this because it used to be an incredibly dangerous climb to the top. Now however, it is less dangerous to climb, but still very difficult. This mountain is an immense and dramatic peak that rises above its surrounding area in Pakistan. Annapurna is a section of the Himalayas in north-central Nepal which is the tenth highest mountain in the world. Its peaks are some of the world’s most dangerous to climb. In fact, they have a fatality rate of about forty percent.